Todd Miller has enjoyed a diverse life in music. Apart from his crossover music, he maintains an active career as a classical singer and conductor, and has performed in many musical genres, including opera, oratorio, musical theater, recital, and sacred concerts. Todd believes that music is a powerful tool to bring people together. He combines a deep Christian faith with an attitude of tolerance and acceptance – both of which inform his music. He performs in churches across the country and serves as a featured soloist for symphonies and civic events as well. He also leads choral workshops that often culminate in collaborative performances. 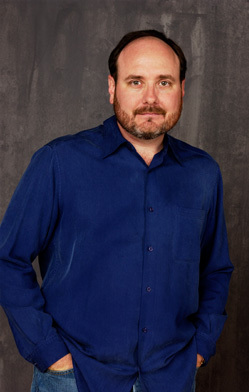 Todd has been featured soloist with musical organizations such as the Houston Symphony, San Antonio Symphony and Opera, Da Camera Society, and has sung in Carnegie Hall with both MidAmercia Productions and Distinguished Concerts International New York. He has worked with several prominent American composers, including Carlisle Floyed, Robert Nelson, Henry Mollicone, and Richard Faith. He is Professor of Music and Chair of Visual and Performing Arts at Lone Star College-Kingwood (Houston area), where he conducts the Chamber Singers and the Summer Opera program. He is also artistic director and conductor of the Kingwood Chorale and Chamber Orchestra. He holds the doctor of musical arts degree in voice performance and conducting from the University of Houston, and voice performance degrees from the University of Arizona and the University of Louisville. He has also held several church music positions in various denominations, and was recently appointed principal director of music/conductor for First Presbyterian Church of Kingwood. ©2019 by Todd Miller Music. All rights reserved.